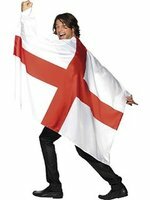 Buy fantastic England & St. Georges products from Novelties Direct at low wholesale prices. 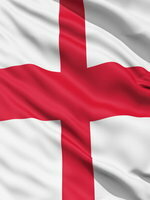 We have many England & St. Georges products in stock including flags, bunting and decorations. 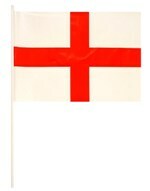 Whether you are having a party at home, attending a sporting event or holding an event in a pub or restaurant you can achieve the feel of England & St. George. Decorations, cutouts and balloons can be put up and tables can be set in co-ordinating colours with table flags as centrepieces. Have fun dressing up in costumes, hats and bandanas and enjoy waving inflatable hands. Novelties Direct offer a friendly and personal service and fast and reliable delivery. If we don't have what you are looking for we will always try and find it for you.